On Friday, August 5th, two of Maya Island Air’s newly modeled planes landed at the John Greif II Airstrip, sporting designs featuring the Great Blue Hole and the Jaguar. 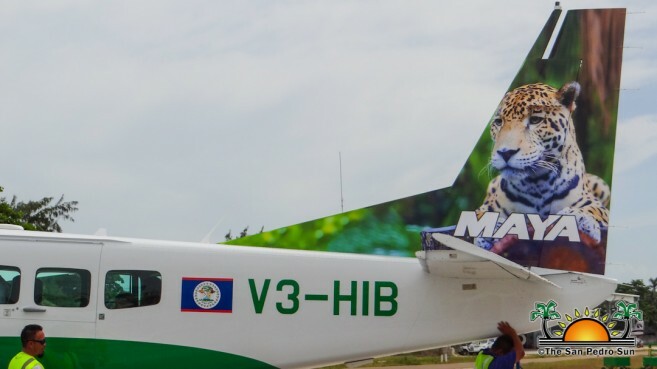 Seeking to always promote the best of Belizean hospitality, Maya Island Air has now redesigned its planes to showcase images that are synonymous with Belize. 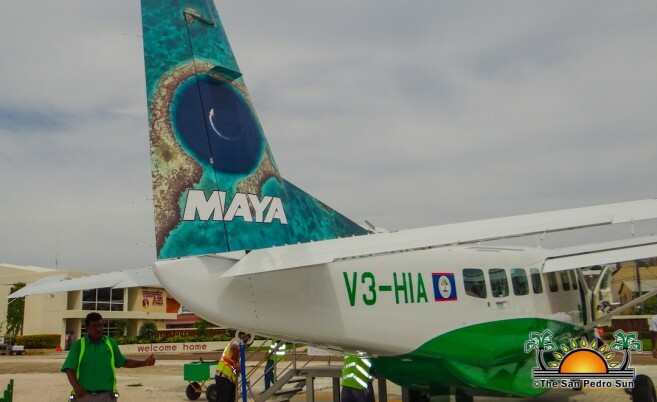 From the breathtaking blues of the Caribbean Sea to the lush greens of the jungle, Maya Island Air hopes that this new design will leave a lasting impression on visitors the minute they arrive in Belize. The planes’ decor is also geared at promoting the country’s main tourist attractions, such as the Blue Hole, and the rain forest jungle adventures. The sleek and modern paint job along with the images on the tail of the plane are truly Belizean. Since 1980, Maya Island Air has been providing airline services for Belize. Its fleet of Cessna Caravans, Cessna Skylane, Britten Norman Islanders and Gippsland Airvan transport hundreds of locals and visitors to and from ten destinations across the country.